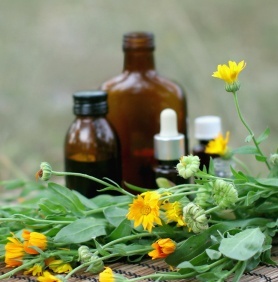 Where Does Herbal Medicine Fit in Today’s World? I’ve noticed a grass-roots movement that’s coming online where people want to know, to be informed, and to make informed choices. It’s partly fed by the internet revolution, the almost instantaneous access to information (whether that information is right or wrong, helpful or not). I don’t believe it’s a lack of trust, I think it’s a desire to be more involved. 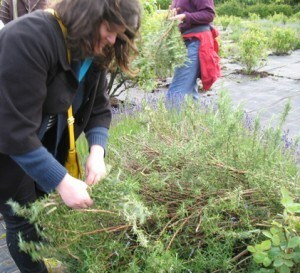 My role as a herbalist is to help the people I meet be more involved. What Does a Herbalist Do? You see, your body knows exactly what it needs to heal itself. My job, as your herbalist, is simply to connect you with the herb or herbs that your body is already searching for. I’m a medical herbalist. This means that I have trained in the prevailing medical system that’s is currently being used – the biomedical model. When I look at somebody’s body through this lens, I see things from a physiological perspective. I look at the causes of inflammation. I used herbs that work in a similar way to pharmaceuticals but because they combine a number of plant-based chemicals the result is much more complex than prescribing just one chemical. But then people are much more complex. There are other aspects to consider – what’s going on in this thing called life and how is it affecting you, what are you putting into your body on a daily basis? Whilst looking at the physiological is helpful. At the end of the day, it’s about connecting the right person with the right herb. Imagine if when examining your health challenge, you were able to assemble your own care team who were specialists in their field. Imagine if you could choose from doctors, consultants, herbalists, nutritionists, osteopaths and each one could advise you based on their specialist field of knowledge. There was a common standard so you knew you could trust the advice you were given. And together they all supported you in choosing the healing journey that was right for you. And that you could determine what that healing would mean for you. Wouldn’t that be great? Imagine if you woke up one morning and you were feeling a bit poorly, say you had a sore throat. Wouldn’t it be wonderful if you could go into your garden and pick the combination of herbs that would support you best in that moment to heal yourself. Or you could go to your cupboard or fridge and assemble the ingredients to make something healing. No need to see anybody. Just trusting in the wisdom of your body. But more importantly, knowing when you could attend to things yourself and when it was appropriate to get some outside help. This is where herbal medicine fits in today. It’s in the choice and the education. Teaching people how to work with their bodies to heal themselves and when it’s appropriate to get some outside help.